Darrah Brustein turned a series of casual get-togethers into the hottest networking events in Atlanta (not to mention a big-time business). She cultivated one of the biggest communities for young professionals in the country. Today she tells us exactly how she did it. 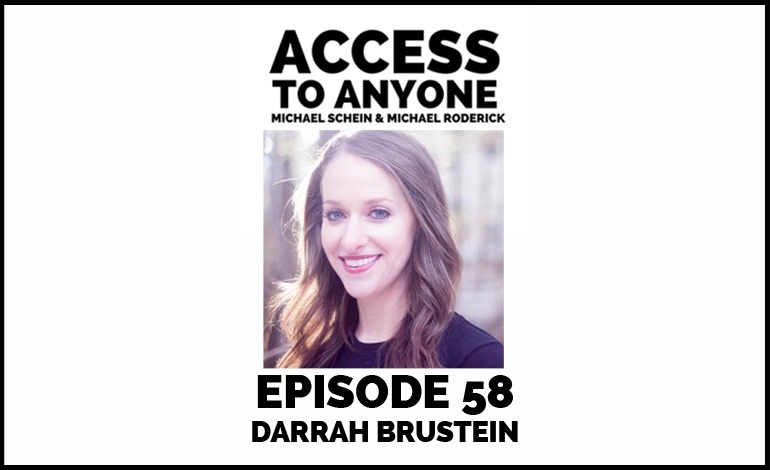 Darrah Brustein is an entrepreneur, children’s book author and connector. In 2009, she founded a merchant services brokerage with her twin brother to help connect businesses with the best credit card processing solution for their needs. In 2011, she founded Network Under 40 to help friends from college make friends in their young adult lives. Due to its overwhelming success in Atlanta (now selling out monthly events for 500+ people), she expanded into Network Over 40, as well as brought Network Under 40 to Baltimore and DC, with other cities to come. Darrah is a contributing writer for Entrepenuer.com, and has been featured in Forbes, The Huffington Post, Inc., CNN Money, Fox Business, and Mashable.